Top 5 Best Ways To Pick The Winning Powerball Numbers! 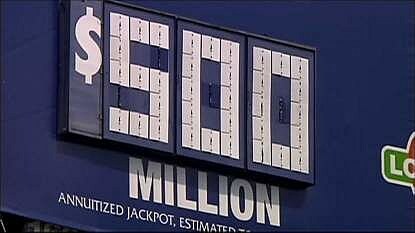 With the Powerball at a record breaking high, people in 42 states, Washington DC, and the US Virgin Islands are searching for the best ways to pick their winning numbers! Well, the #1 way to win.....Is to not play! Your chances of losing are greater than winning! So technically, not losing is winning! But if you must play, because I know I will, #2 Do the obvious and choose birthdays of yourself and/or loved ones. For the rebels, here is the #3 way: Don't pick numbers between 1 and 31....see reason #2 for your reason (they're commonly used). #4 best way to choose your numbers is to throw darts at a board full of all the possible numbers. Although it may not be accurate, it's the lottery! It's just as accurate as the #5best way to choose your winning Powerball numbers: Let the computer do it for you! Your odds of winning some kind of prize is an awesome 1:35. But if you plan on winning the Jackpot, your odds are 1 in 175,223,510 so good luck! You're going to need it!